I have always been a great fan of Canon point and shoot cameras. We have owned a Canon A75, Canon SD450, Canon SD1100 IS. Although I had secretly harbored an interest in learning the art of photography, it hasn’t come to fruition until now. My wife got me this little beauty of a digital camera – Canon PowerShot SX10 IS for Christmas. It has now rekindled this desire in me to grow my photography skills. Even though it is technically a point & shoot camera, it falls under the superzoom cameras as it has a whopping 20x optical zoom! The above features are the ones you’ll see on any product listing page for this camera. But, what is a blog post without personal likes & dislikes, right? Coming from compact point & shoots, it is going to take a bit for me to get used to the heft. But, if you have used or handled any DSLR’s, this weighs less than those models and it is even very convenient to shoot one handed. Although the 2.5″ LCD is smaller compared to the 3″ in many models, the flip out screen is sure to come in handy at times you have shoot over people or with the ground. Now, the superzoom lens that provides from a wide-angle 28mm to a telephoto 560mm is just incredible with this camera. It provides for a lot of new options for me when capturing pictures and I am very excited to put it to some good use in our upcoming trip to St Louis. As you might know, buying a DSLR involves buying the camera body plus the different lenses for different kinds of shooting and some of those lenses even run as much as the camera body itself. Canon PowerShot SX10 IS lets me learn the fundamentals of photography and test out my creative skills with my newly acquired photographic wisdom with all kinds of manual controls you would come to use in a DSLR, without breaking the bank. Also, I can take this out with me in any occasion without having to lug around a typical DSLR gear. Canon absolutely has impressed me with its imaging abilities in the past and Canon SX10 IS is no different. In fact, it has gotten me excited like a kid in a candy store. And all this at an affordable price of $339.88 at Amazon.com (at the time of writing). If you’d like more in depth reviews of Canon SX10 IS. here are a few links I poured over every line before and after making the purchase. Amazon.com customer reviews – the best of the lot as you can hear straight from the horse’s mouth. From real people who are using the camera. Don’t worry if you don’t know what that is or afraid if your wife/husband won’t understand it. SX10 also features the usual Auto mode and advanced Scene modes that’s suitable for different situations. 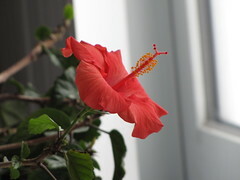 Here is a picture I took indoors with this camera. I do have a bias for Canon but I hear the Panasonic Lumix DMC-FZ28S is also a worthy alternative in the superzoom category offering a 18x optical zoom. In fact one of the reviews above compares the Canon with this camera in great detail and they almost come out even. Hope you enjoyed this exuberant post of mine about my early Christmas gift. I figured it could help you out if you were looking to buy a digital camera for a Christmas gift. There are plenty of Canon digital SLR cameras and Canon digital cameras online. I am a fan of photography too, i know what you feel! I went down the route of the XTi from my Canon A85 & I don’t regret it at all. Amazing camera & I’d find it hard to go back to a straight Point & Shoot. I think yours is what’s known as a ‘Bridge’ camera and I can see the attraction, looks a smart piece of kit. Are you on (or will be on) Flickr? Also, we are friends on Flickr I think.. but I am about to sort those pics out as I have it polluted with my blogging screenshots, et al. Look forward to seeing your new shots, and I give it 6 months before you get your first SLR 😆 I’m saving up for my new lens……..
Yeah, I have certainly missed you at Blog-op! I meant to link to my Flickr profile in my last comment but here it is. 🙂 Merry Christmas, my friend. This looks really cool and getting my first “proper” camera (a digital SLR) is on the cards for the next few months. Is this the Canon which also takes HD video? I’m unsure at this point whether I should go for this/that one which features it – I’m guessing it could come in really useful for a blogger. I prefer cameras with digital zoom rather than optical,because the zoom camera crops the entire image, and then digitally enlarges it. How is that a good thing Agnus? Digital zooms lead to a loss in quality, you should go for optical every time. You are lucky to have such a wife who makes you perfect presents. 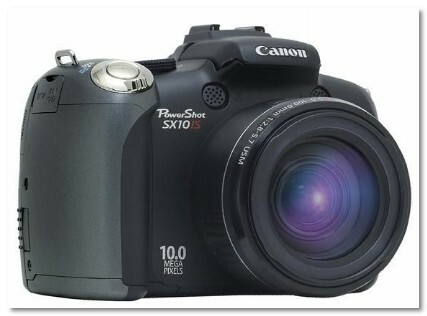 Canon SX10 IS is a dream for the one who is fond of photography art. I’m currently looking into buying a new digital and this one certainly is in the top 3! Canon SD780IS is the perfect travel/everyday camera. It weighs a little over 4 ounces. The size of the camera is astonishing. It is smaller than my iPhone 3G and my wallet. I love the new 720p video recording HD feature on the 2009 Canon P S line. The image stabilization for video/image stills is a winner. The clips are sharper and clearer than the clips from the Creative Vado HD and the Flip Video MinoHD.